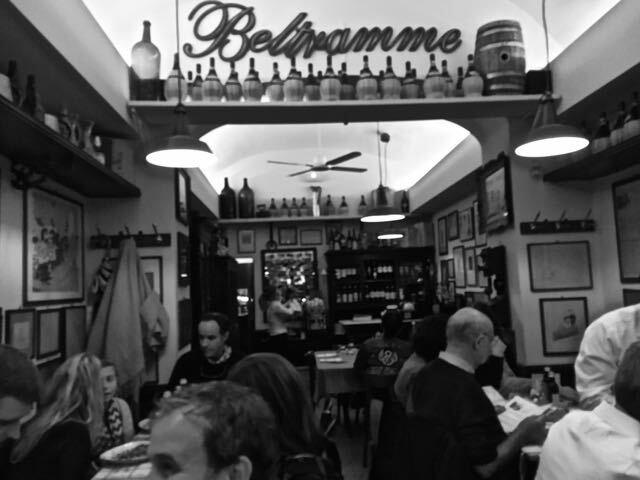 On a side street in between the via del Corso and via Babuino shopping avenues Fiaschetteria Beltrame is an old fashioned place with bright lights and tables squeezed into a narrow room. We caught up on life in Bangkok verse life in Rome over glass jugs of house wine and skipped ahead past antipasti and went straight to pasta. I had the tonarelli with an arrosto sauce which tasted like Thanksgiving. 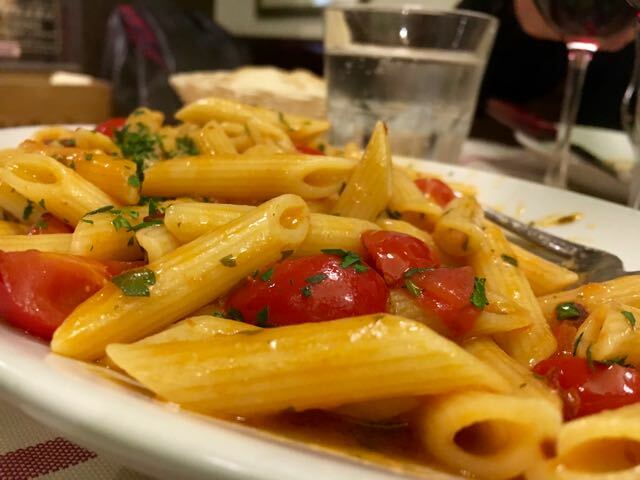 Mark's arrabbiata was studded with cherry tomatoes and had fiery bite. 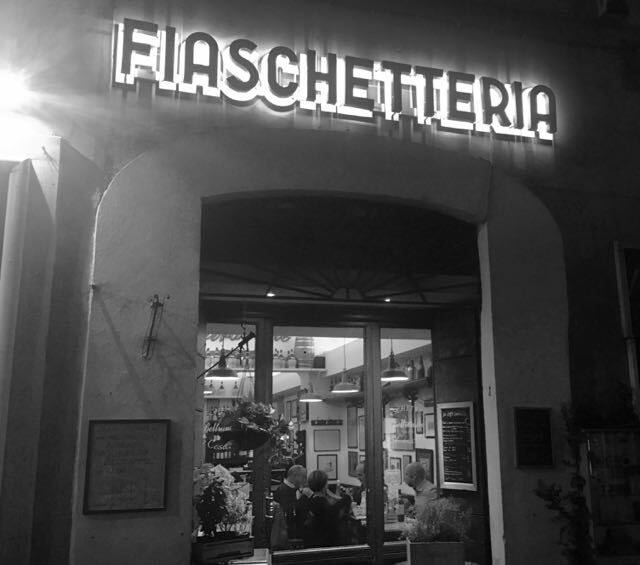 The cacio e pepe was creamy, peppery comfort food, a perfect last Roman plate for my far flung pals. 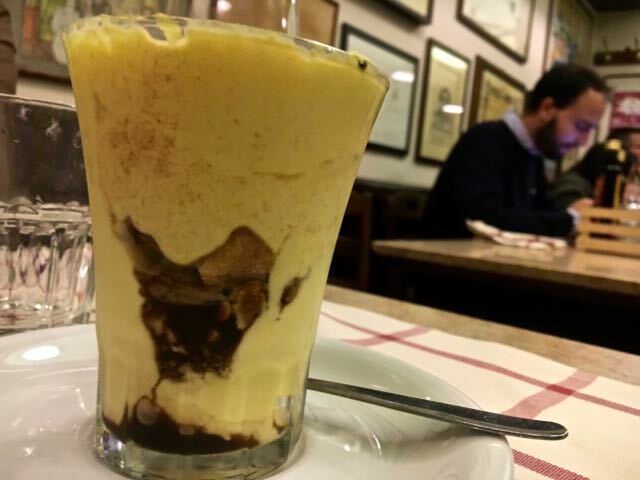 The tiramisu cook must have worked in Flavio's kitchen because it is the same rich, eggy, chocolate topped wonder. 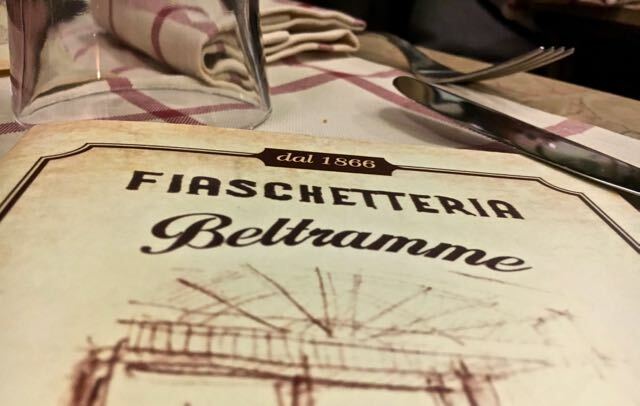 Fiaschetteria Beltrame is a solid addition to my classic Roman fare eating list.